As Principal, Corey Eagle is involved in all aspects of Brixton’s operations, accounting, finance and treasury, tax, debt, and equity functions. This involves closely working with all team members during all life cycle phases of assets including acquisition, structuring, and tax planning; hold, management, and value-add phase; as well as disposition. Prior to joining Brixton, Corey spent 10 years working at Ernst & Young, first in their audit and assurance group where he had a real estate focus that included helping the country’s largest regional outlet mall company through its initial public offering. 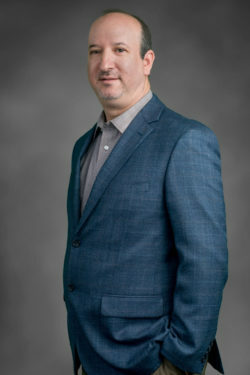 Corey later became a manager and afterward, a senior manager in Ernst &Young’s dispute resolution and consulting group where he assisted many real estate clients as well as worked on numerous international matters in Latin America and Western Europe. Corey graduated with a degree in accounting from The George Washington University in Washington D.C. and acquired his certified professional accountant (CPA) license in 2001 and his Certified Fraud Examiner license in 2008. He has been a member of the American Institute of CPAs, the Association of Certified Fraud Examiners, the California Society of Certified Public Accountants, and the Greater Washington Society of CPAs. Contact Corey at (858) 683-7100 or ceagle@brixtoncapital.com .